These larger more luxurious vans have quickly become the favorite of our clients! Travel in luxury with plenty of room for you and your luggage. All of our luxury vans have complimentary wifi too! These are available on all of our routes, Breckenridge airport charter, Keystone, Vail Ski Charter and Beaver Creek. 1-855-MTN-VANS (1-855-686-8267) Within 48 hours please call for reservations. Start your vacation with our luxury SUV airport charter service in one of our luxurious SUV’s. 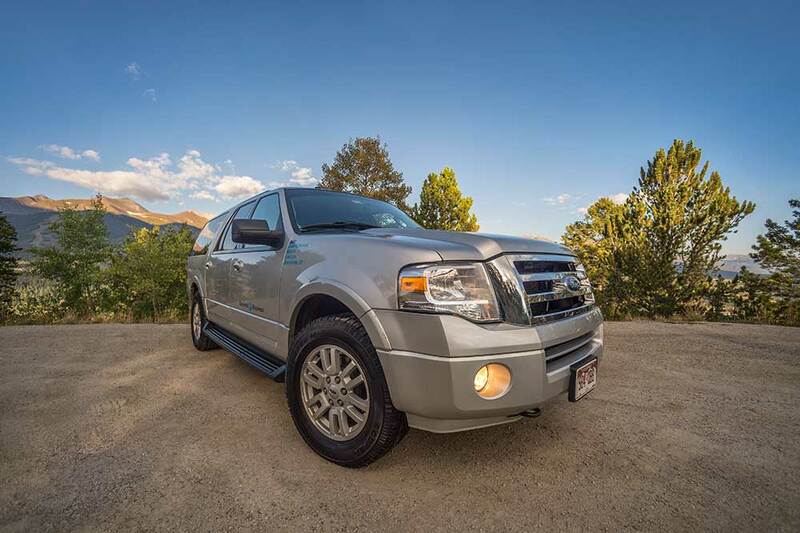 Leather interior, DVD player and complimentary bottled water for your trip from DIA to Summit County, Eagle County, Steamboat or Aspen Luxury SUV Charter Service. 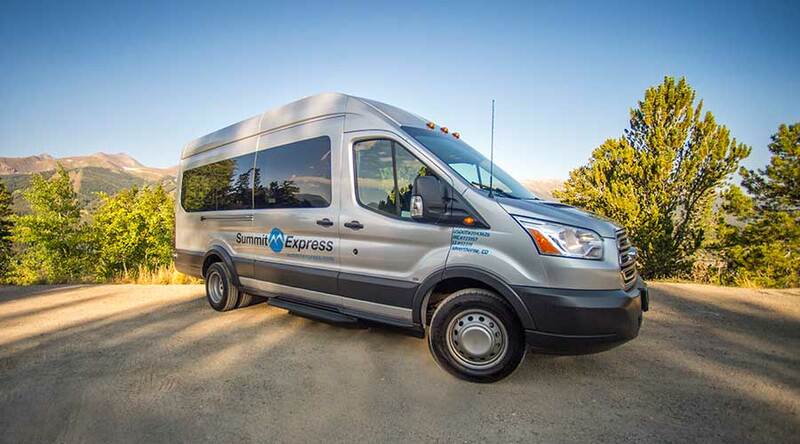 Summit Express invites you to experience private charter service to Breckenridge, Keystone, Copper Mountain and Summit County, Vail, Beaver Creek and Eagle County Resort destinations! They can be scheduled anytime with day or night pick ups. *Rates one way. May vary slightly during holiday and peak travel periods. Within 48 hours please call for reservations. Complimentary bottled water & Driver Gratuity is included. 30 minute stop included on DIA to Mountain Charters any stop requests outside of this will be charged at $85 per hour, per vehicle and will be billed in fifteen (15) minute increments. For Ski Delivery service please visit Ski Butlers. make sure to mention Summit Express to receive exclusive discounts. *$250-$500 fee may be charged for excessive spills, stains or sanitation issues that require cleaning. Friendly. On time. Appreciated the offer of water. Appreciated the suggestions of where to check in, eat, etc. at the Denver airport.